Retirement can take on many shapes. For some, it is using the Aged Pension as a time to stop working. For others it can be in their 50’s or early 60’s. Whatever it is to you, it’s important that you plan ahead. How your investments should be structured in retirement is also something that varies from one retiree to another. Corporate Super Funds are created by your employer for the benefit of you and your colleagues. Whilst they often do the basics quite well, they can lack sufficient investment options. They often have limitations to the personal insurance they hold too. That said, they will often be quite cheap to run. Be careful though not to judge one’s value by low cost. If it is low in cost, and does the job, then great, but it must do the job. Comparing performance returns, though seemingly the obvious way to determine value, is not always the way to judge your super fund either. Many Corporate Super Funds hold more share (equities) their name suggests they would, and given shares traditionally are one of the best performing asset classes, then the performance of the fund will look better. For example, a ‘Balanced Fund’ one would expect to hold a balance of shares and non-shares investments (ie 50% each), yet many Employer Balanced Super Funds hold 70% or so in shares which will result in better performance over the long-term. Not quite apples with apples! The only way to know if it is doing the job that you need it to is do a full review of it. Like Corporate Super Funds, these are set up by one’s employer. There are many different Industry Funds as they are designed for those within the many different industries. As there are many different areas of the Public Service, so too are there many different Public Sector Funds. Special care is needed in comparing Industry and Public Sector Funds as there are often in-built benefits. It doesn’t mean that they are absent from competition, just that you need to understand the benefits properly before you compare them to other funds. These are similar to Corporate Super Funds, though they usually have more investment and insurance options. This is because virtually anybody can join them so they need to be more competitive. Many of these funds will charge a little more though. That isn’t to say they dont provide value for money though. Some do and some dont. These have come a very long way in the past few years. In the 1990’s and early 2000’s they were the investment of the very well-off or well-connected. These days there are so many that it’s not too much more effort to have one than an Corporate Super Fund. There are some specific things that you must do, like have regular reviews and have the fund audited, but most prudent investors will want that anyway. In a SMSF, you are also the Trustee, meaning you are legally responsible for what happens to your fund, so it’s very important that it is administered correctly. Working with us means that we engage experts to help you manage the investments and the rules. There are two other important factors to be mindful of with SMSF’s though. The first is that the ATO, the regulator of SMSF’s, pay close attention to them because of a large increase in the number of them over the past few years. Given how much freedom you have as a trustee, it’s important that you invest wisely and follow the rules, as mentioned above. 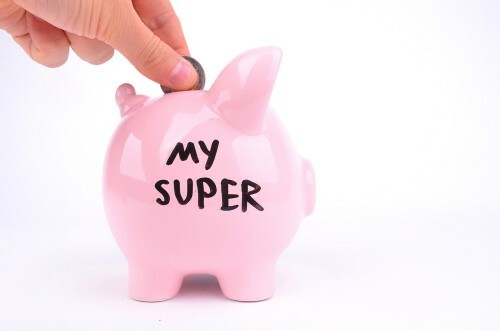 The second is that it is the only superannuation structure that can house property (pardon the pun!). Given property can be a great long-term asset, then it makes sense that property form part of a retirement strategy. It’s vital however to have it as part of your strategy, not it be your strategy.